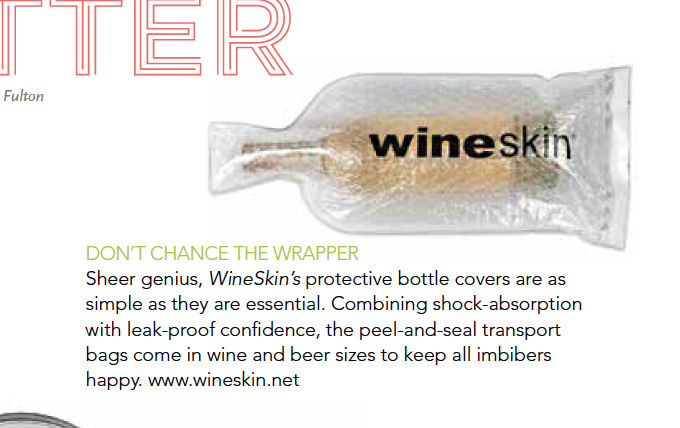 Sheer genius, WineSkin protective bottle covers are as simple as they are essential. Combining shock absorption with leak-proof confidence, the peel-and-seal transport bags come in wine and beer sizes to keep all imbibers happy. Click here to download a PDF of the coverage.